How to automate my return policy? How to setup automated return labels? How to setup my return reasons? Do I have to send return labels to my customers? Can I manually upload labels to returns? How to change the language of my portal? If you do not want to integrate with our current shipping partners (EasyPost, Shippo, ShipStation or Canada Post) and have another convenient way to generate return labels, then you can also choose to manually upload your return labels to the return requests when a customer's return is approved. In your Settings, under Policies > Rules, make sure the Logistic chosen to receive the packages back to you is "Label". You will also need to make sure that you have no carrier integrations setup under Integrations > Carriers. This means none of the integrations should say "Active" in green. And you will be able to upload a label within the return. Click on the return, and you'll see a purple error box. Click on "Manually upload a label". Make sure to fill in all the fields, and upload a file in PDF or PNG for ultimate convenience! When you confirm, your customer will automatically receive the label within a confirmation email with the shipping instructions. This email is editable in your Settings under Emails > Workflow. The email's name is "Return Approved: Return Label Attached" under the "Approved" tab. 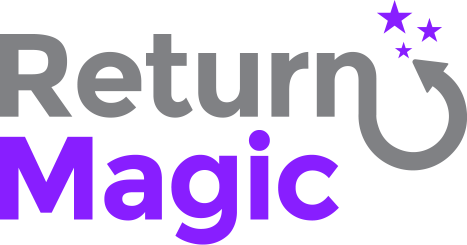 How to test my return portal? How to ask my customers for a photo of their returned items?